Crow Creek runs through the woods, with buckeyes and birches dangling their branches over the water. 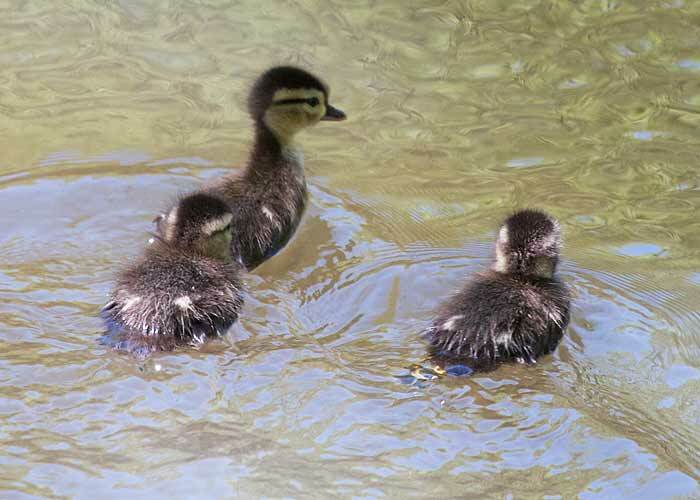 As I looked over bank of the stream, seven wood duck babies followed their mother. Here are three of them.